A Suzuki Baleno - something different! Suzuki was onto A Good Thing in Australia back during the late ’80s/mid ‘90s. 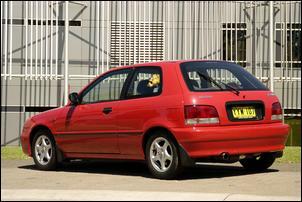 The Suzuki Swift GTi dominated the small performance hatch segment and emerged as a cult classic. But the successor to the Swift, the Baleno, wasn’t so well accepted. 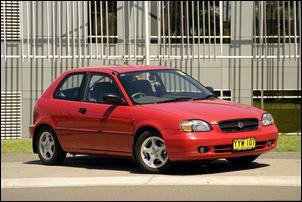 Despite running a very similar driveline and a larger, more useable body, the Baleno was largely a sales flop. But that’s not to say it’s a car with no appeal. Damian Robins of Sydney owns a custom turbocharged Baleno that should invigorate some interest in the much-overlooked Suzuki. This is Damian’s third Baleno, which was purchased after ‘stepping up’ to a European hatch – a Peugeot 307 HDi. The oil burning Pug was plenty frugal around the streets of Sydney but ongoing electrical problems led Damian to sell it and revert back to ol’ faithful – the Baleno. Damian picked up this second-hand 2000 Baleno GL (base spec) with just 38,000km at the hands of the proverbial little old lady. Like most secondhand Balenos, it was purchased for a song. Damian then proceeded to unlock some of the potential that he had seen in his previous models – his first modifications were a 2 inch cat-back exhaust, modified airbox, different spark plugs, an underdrive crank pulley and lightened flywheel. 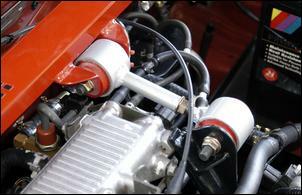 This gave the standard 1.6-litre DOHC engine (coded G16B) about 52kW at wheels. At the same time, the suspension was upgraded with Pedders sports dampers and lowered springs and an upgrade sound system was fitted inside. Damian had also been contemplating an extra dose of power so, in preparation, he ripped out the original brakes and chucked in the anchors from the sportier Baleno GTX. The GTX has larger diameter front discs and a disc brake rear (the GL model having rear drums). Suzuki engines were widely turbocharged back when the Swift GTi ruled the streets and Damian knew they’re a pretty strong little engine. 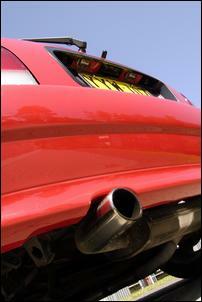 So there was no hesitation in enlisting SuziTech in Thornleigh to install a custom turbo set-up. SuziTech fabricated a tubular exhaust manifold (using ‘steam pipe’), picked a suitably sized Garrett turbocharger, routed the necessary oil and water lines, and whipped up a dump pipe which leads into a high-flow cat converter and 2 ¼ inch front pipe. The intake to the turbo comprises a UniFilter foam pod filter and a PWR-cored air-to-air intercooler chills the compressed air. 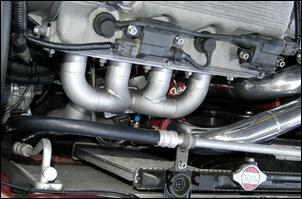 All intake pipes are mandrel bent and feature ceramic heat coatings on the internal and external surfaces. 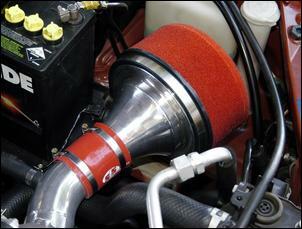 The throttle body is also machined from around 46 to 50mm diameter and a plumb-back blow-off valve is installed. With a Garrett turbo now residing in the engine bay it was time to work out the engine management and fuelling side of things. 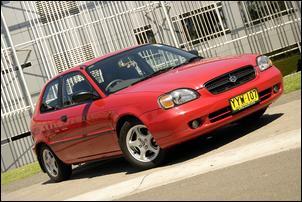 Interestingly, Damian’s Baleno currently survives with a stock engine management system, injectors and fuel pump. The only changes are a Malpassi rising rate fuel pressure regulator and a modified engine load signal into the ECU. 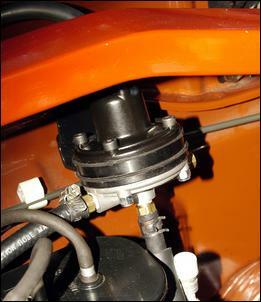 A pneumatic bleed valve has been adjusted to limit the amount of boost pressure seen by the factory MAP sensor. 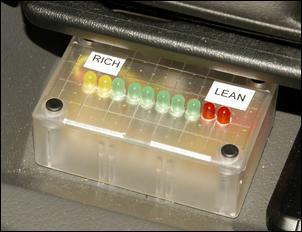 SuziTech says the standard management system is fine up to about 5 psi but beyond that it goes into a failsafe mode. Damian also runs a Silicon Chip 10 LED air-fuel ratio display to keep an eye on mixtures seen by the factory oxygen sensor. Apparently, the engine runs lean with 6 psi boost so the wastegate actuator is temporarily modified to deliver just 4 psi. We’re told that a soon-to-be-installed extra injector will enable more boost along with safe mixtures. The extra injector will be controlled by a Silicon Chip Digital Pulse Adjuster (DPA). Driving through an Exedy heavy-duty clutch and the SuziTech strengthened five-speed manual, Damian’s turbo Suzuki has terrific real-world performance. Sure, there are faster cars to be found but not many are as enjoyable and unassuming as this! Damian says the car used to wheelspin all the way through first gear when boost was set at 6 psi but traction is improved after the recent fitment of a DMW Motorsport Phantom front LSD. This, combined with reduced turbo boost pressure, keeps the Baleno within its traction limit. There’s useable performance from about 3000 rpm to the 6500 redline. The Pedders suspension package has also received some further tweaking. Damian has installed Whiteline front and rear swaybars (a rear swaybar is normally reserved for the GTX model), SuperPro bushes all round and a SuziTech front strut brace. A SuziTech engine steady connects to the strut brace to combat engine rocking under load. Aside from its 14 inch ROH alloy wheels, the little red hatch can slide its way through traffic without attracting a second glance. The only reasons for a double-take are the louder-than-standard exhaust and a slight sneeze from the blow-off valve (which can be heard through the exposed air filter). The interior is similarly untouched except for the Pioneer sound system, boost gauge, mixture meter and a dual mode temperature display (which is currently measuring intake air temperature before the filter). Let’s not get our wires crossed. This isn’t a mega-power streeter that’ll wipe HSVs and WRXs – instead, it’s a genuinely useable hatchback with well rounded engine, suspension and brake mods at an affordable price.